Margaret K. McElderry Books, 9781481462419, 368pp. Sarah’s had her happy ending: she’s at the party of the year with the most popular boy in school. But when that boy turns out to be a troublemaker who decided to throw a party at a cottage museum dedicated to renowned poet Rufus Baylor, everything changes. By the end of the party, the whole cottage is trashed—curtains up in flames, walls damaged, mementos smashed—and when the partygoers are caught, they’re all sentenced to take a summer class studying Rufus Baylor’s poetry…with Baylor as their teacher. Hawes(Black Pearls: A FaerieStrand) transforms carelessness into redemption in a summer story that begins after a group of teens break into and throw a raging party at abeloved local poet’s cottage, trashing it and nearly burning it to the ground. (A note explainsthat the story is partly inspired by a similar 2008 incident involving Robert Frost’s summer home.) Sarah, Hawes’s wide-eyed narrator, has an innate poetic bent and only reluctantly took part in the break-in because of her popular boyfriend, Fry. Though Sarah’s relationship with Fry is central to the plot,the real romance is one of words. The teens are sentenced to restore the cottage and take a poetry course—taught by the house’s elderly owner, Rufus Baylor, who becomes a mentor to Sarah. Full of poetry and ideas, Sarah’snarration has an exuberant innocence, bringing a fresh and joyful quality to astory about a girl learning to love the possibilities that come with independence: the chance to discover one’s true self and desires, while forging a path forward that might fulfill them. Ages 12–up. Sarah gave up her quirky friends for popular boyfriend Fry junior year. Though it’s his loathsome idea to throw a kegger at “National Treasure” poet Rufus Baylor’s summer cottage, a historical site on the outskirts of their coastal North Carolina town, Sarah doesn’t outwardly object—or stop drunken partygoers from ravaging the place. After being busted, the miscreants are sentenced to community service and to a poetry-appreciation summer class, and the story deepens considerably once the elderly poet himself arrives to teach the course. A warm, natural teacher, Rufus inspires even the most poetry-averse delinquents, but especially Sarah, who becomes his protégé and friend. As Sarah finds her voice, the first-person narration naturally becomes more lyrical, and she also sheds her unappealing passivity. She stands up to her controlling mother, who pressures her toward med school; to Fry, who she knows isn’t right for her; and ultimately to fatherly Rufus when he attempts to project his dreams onto her future. Even before reading Hawes’s note on the story’s inspiration, poetry-loving readers should pick up on the Robert Frost–like sensibilities in Baylor, whose work is steeped in the natural beauty of his regional setting. With Sarah’s and Rufus’s poems included, readers will find much to savor in this book, an inspiring redemption story and an ode to the transformative power of verse. Sarah is a high school student who ditches her old friends and begins hanging out with the popular crowd and a new, popular boyfriend. One day, after drinking one too many beers at a party, things escalate and famous poet Rufus Baylor’s house is burned and trashed. Fortunately, Sarah and her friends aren’t sentenced to jail, but instead a poetry appreciation course taught by the famous poet himself. Rufus becomes somewhat of a mentor for Sarah while she is battling with her new life, her pushy mother who wants her to be someone she is not, and other family issues. Eventually, Sarah begins to find out who she really is and who she wants to become. 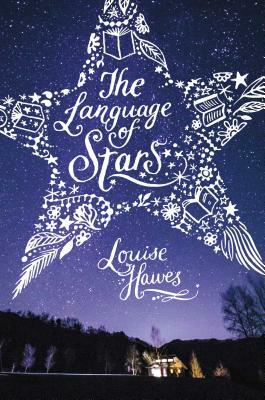 Hawes has created an excellent and witty plot with a different sense of style that is a bit like a montage, weaving together the story, sounds Sarah hears around her, and poems. Sexual references and profanity make this title suitable for high school students. "A tale of self-discovery well suited for art-inclined readers who feel themselves on the fringe." "[Sarah's] struggle with the decision to be true to herself is one that many teens will recognize." Full of poetry and ideas, Sarah’s narration has an exuberant innocence, bringing a fresh and joyful quality to a story about a girl learning to love the possibilities that come with independence: the chance to discover one’s true self and desires, while forging a path forward that might fulfill them. "A rewarding character study [about] the power of creative expression. This is a tale of forgiveness, listening to the world, and looking beyond the surface." "Readers will find much to savor in this book, an inspiring redemption story and an ode to the transformative power of verse." "An excellent and witty plot with a different sense of style...weaving together the story, sounds Sarah hears around her, and poems."